Downton Abbey - Every day is shows day. 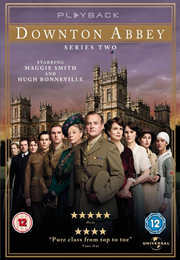 Plot: Downton Abbey is a historical drama written by Julian Fellowes. The series follows the lives of the Crawley family and the servants who work for them in an Edwardian country house just after the turn of the 20th century.